Today, hashtags are everywhere. Even if you don’t use Twitter or Instagram, you can’t miss them on billboards, TV ads, even on product packaging: Big budget campaigns want to push their custom hashtags in every possible touch point they can put their hands on. Smaller businesses can’t use the same tactics as the bigger fishes, and usually don’t have the means, or even a good reason, to create and promote their own hashtag. But they can still use hashtags in many useful ways; the most obvious is to use relevant tags when you share interesting content on social media, so that you can reach a bigger audience. Finding the best hashtags for that can require a bit of research, but the good news is that having such a list will allow you to kill two birds with one stone. As a matter of fact most people don’t have the time, or the willpower, to do their own research. But they wouldn’t mind at all to get it done for them, and then get the results served on a silver plate – for example, in a blog post. So, if you already know some good hashtags for your field, it’s easy to create a highly shareable post about them. This will also cast you as an expert in your field. If you don’t know the relevant hashtags yet, you should find them out as soon as possible, so that you can start using them to increase the reach of what you share, and as a bonus get some great content to share. You can find them using the free hashtagify.me service. 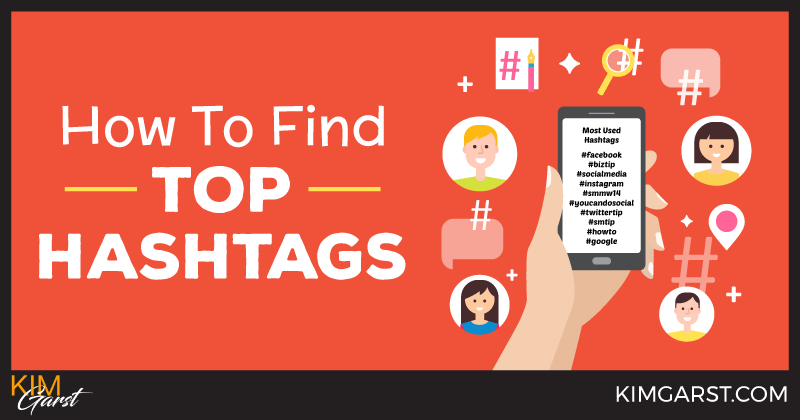 Here’s how to find the best Twitter hashtags! With your list of targeted, handpicked hashtags, you already have a solid base for a great blog post. What you need now is a bit of backstory about those hashtags, to explain why you picked them, and some embellishment to make the post richer and more lively. This is right where our new Hashtagify Widgets come to the rescue. As a matter of fact, Hashtagify Widgets make it copy-and-paste easy to enrich any blog post – or any kind of web page – with interactive, beautiful and live data visualizations about more than 35 million hashtags, either individually or in combination. Top 30 hashtags charts, where you can list an always up-to-date list of the top hashtags for a given language, by month or by week. Pro Tip: If you use WordPress for your blog, be sure to paste the code when editing in “Text” mode, not in “Visual” mode. The ideal blog post should have content that is not just highly valuable to your target audience, but also timeless. This way, it will still bring in visits and shares long after it’s been published. In the Social Media world, which is always changing, timelessness is an evasive goal. The next best thing is to keep your best content up to date. How often have you found an article about “The Best 101 Tools For X”, only to discover that half of the links are broken? How frustrating. But Hashtagify Widgets are always up to date, so their data will still be fresh months, even years after you published it. Just be careful in the wording of your article, or check it from time to time to be sure that the text doesn’t contradict the data. Pro Tip: If your post is about a historical event, and you don’t want the data to get updated, you can take a screenshot of the widget and publish that as a picture, instead of using the live widget. Please also add a reference to the source. Pro Tip: Don’t put more than two “relations chart” widgets (the one with the bubbles) on the same page. They could slow down the browser if the reader has an older PC. Other widget types are very lightweight. Since Hashtagify released this new feature a few weeks ago, 32 websites already started using it, but chances are high that you can still be among the first – if not the first – to do it in your field. To check it out now, just click on Embed Wizard now. And now you know how to find the best Twitter hashtags! What do you think of the tool? I would love to know! Creator of hashtagify.me  and founder of CyBranding, I'm an engineer with a passion for psychology and marketing. Dan, I always recommend people to Hastagify.me because it’s a tremendous tool that’s so easy to use. In fact, I’m going there right now to search a hashtag. Talk soon, Brandon.